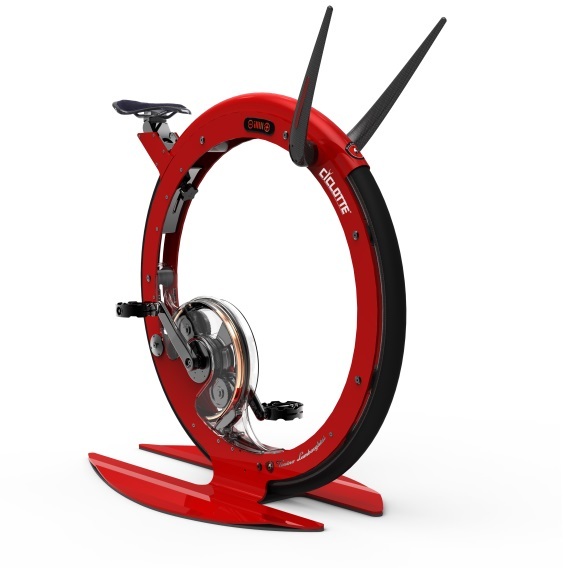 Cycling in your living room isn’t the most glamorous of activities in most people’s eyes, and it seems Tonino Lamborghini agrees, having just released their Ciclotte Tonino Lamborghini designer exercise bike costing more than £7,000. 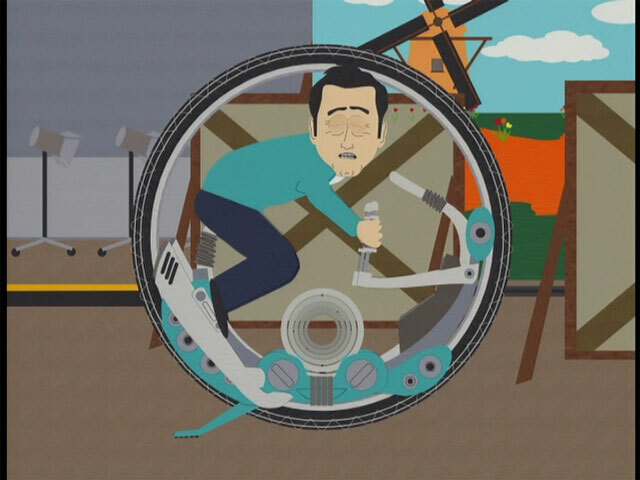 In fact, does it remind anyone else of South Park’s ‘It’? The Ciclotte Tonino Lamborghini has a carbon and steel frame with adjustable carbon-fibre handlebar, and apparently uses electromagnetic resistance to give you a better workout. It’s designed to “faithfully reproduce the dynamics and performance of on-road cycling,” although to what extent you can ever really feel like you’re in the great outdoors while riding an oversized red unicycle at home is anyone’s guess. As if the €10,490 (excluding VAT and delivery!) main model weren’t luxurious enough, there’s also one festooned with over 500 Swarovski zirconia or gemstones. So you can sparkle while you sweat. If your bonus cheque’s just come in, the Ciclotte Tonino Lamborghini is available online now.